A perfect cosmopolitan city of Argentina which is also its capital city, Buenos Aires is on every tourist’s wish list. The 1908 opera house, the MALBA museum among many other attractions such as Teatro Colon, Casa Rosada, and the famous Plaza San Martin, are all succinctly lined up to keep the visitors of this beautiful city enthralled during their tours. Travelers also enjoy the cobblestone walks on the San Telmo which hosts a famous antique fair. The other major tourist spots are matches in La Bombonera football stadium and the Caminito alley in the La Boca Italian quarter. The leather is the specialty of Buenos Aires, so every shopper is on the watch out for buying leather products while visiting here. 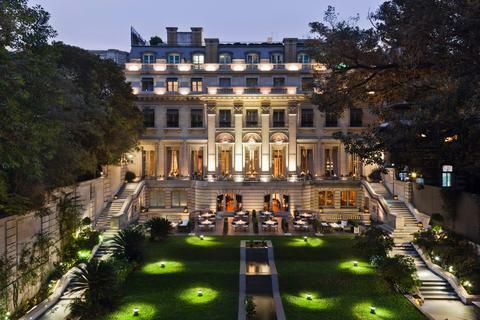 Here below, we provide you the Top 15 considerations for hotels for your stay in Buenos Aires. Algodon Mansion is known for spacious rooms topped with all the comfort providing amenities. This is known to be one of the most elegant hotels in the city. The warm atmosphere created by a very hospitable staff give you the most refreshing experience during your stay. 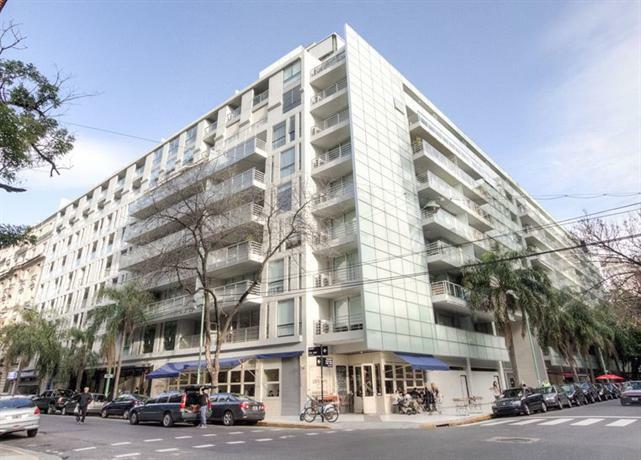 The hotel is located very close to Recoleta which is a clean residential neighborhood of the Buenos Aires. You will find here amazing cuisines made up of products directly ported from the farms of Mendoza Winery. The Wine is transported from the Algodon Mansion’s sister property, the Algodon Wine Estates which is a world-class producer of wine. Apart from great food and wine to satisfy your epicurean hunger, the hotel has a terrace pool which also houses a great bar at the side. Then there is the Le Spa which has the sauna, steam, massage and many such sorts of wellness services for the guests to relax and laze around the place. This boutique hotel grants the guests one of the most royal treatments which they would have ever had! Designed in ultra-modern style, this hotel will surprise you not only by the interiors but also by the personalized approach the house-keeping staff follows in serving their guests. Based on the specific preferences of the guests, the hotel staff guides you on a well-planned adventure roll to discover the history, art, sports, food, and fashion of Buenos Aires. What’s even more thrilling to know about this hotel is the location of this hotel to many major attractions of the city- an elusive nightlife and innumerable shopping sprees. There are also in-house private tango lessons available for you to share some of the most romantic moments with your loved ones. 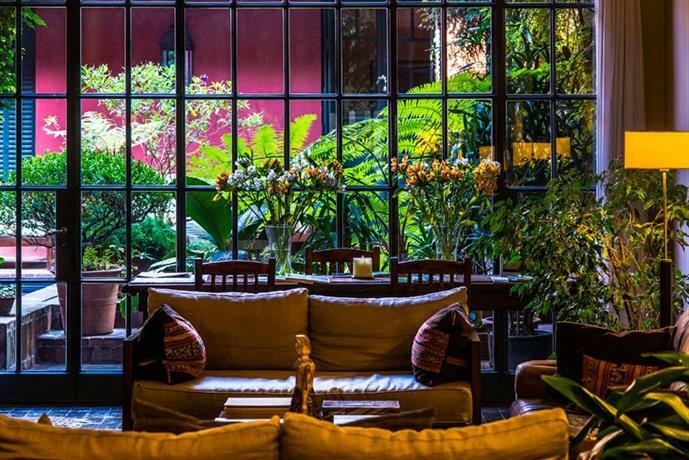 The fact that this hotel is owned by Francis Ford Coppola, itself makes this hotel worth mention among the best hotels in Buenos Aires. It would not be wrong to term this hotel as a second home, as with just 7 rooms, this hotel provides one of the most personalized forms of service. It is located in Palermo district with a very nice neighborhood area. Guests can easily find places for coffee, food shops and places to chill-out strolling around. There are also small memoir shops to buy presents back home. There is also a Little Craft Brewery for Beer lovers to chill during the night, right next to the hotel. The staff of the hotel provides a very prompt service delivery. If you are a nature-lover, then this hotel is definitely a place for you, as it is plush with rich greenery all over the place. Welcomed by the imposing sculpture of Gerardo Wolgemuth at the entrance, you will walk into the finest creation of contemporary-styled architecture located in the streets of Recoleta. The brick structure from the outside looms high in style since 1700’s, boasting enough of the rich European heritage built with a peculiar Argentine taste. The culinary department headed by the chef- Javier Marrone, is always on the toes to provide the hotel guests with dishes tasted never before. All kitchen preparations are done using a variety of seasonal ingredients. The hotel also has a large Lobby Lounge Bar which displays a range of mocktails and cocktails, all aimed at satiating different taste patterns. You can choose CasaSur Bellini for a relaxing vacation in exemplary comfort. You will be greeted by a trained group of staff who are committed to serving you with pleasure. To make the guests discover the Buenos Aires at ease, the hotel has even provided complimentary city tours each Saturday and free bicycles to roam around the local area. Guests at CasaSur Bellini are served to adhere to the minutest of details to ensure them a comfortable stay. You will find services of babysitting, personal training sessions, tango shows, in-house theater and sports shows, and opportunities to enjoy the night-life in the hotel itself. Not to mention the relaxation massage and spa services and outstanding beauty treatments provided by trained professionals. The swimming pool of the hotel has bordered around lush green trees which will simply leave you refreshed after a tired day of activity. Housed in one of the famous neighborhoods of the city, San Telmo, and Florida Avenue, this hotel is located on the Moreno Street. You can enjoy your vacation in this hotel amid well-designed comfortable suites, an indoor pool, and immaculate spa facilities. 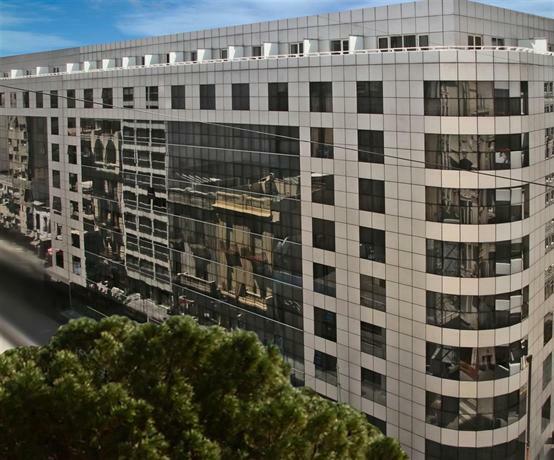 The hotel is also in close proximity to the all of the famous cultural attractions of the city such as historical museums and theater5 stars. There are also many traditional coffee shops located around the hotel to treat you with different styles of coffee-making. The hotel also provides for exclusive dining services in its three restaurants namely Restaurant Mediterraneo, Café De Las Luces, and Terraza Del Virrey. The hotel is ideal both for family vacations as well as business trips. It also has an Insider Collection, particularly suited for business travelers where important events are being hosted with personalized team building exercises. 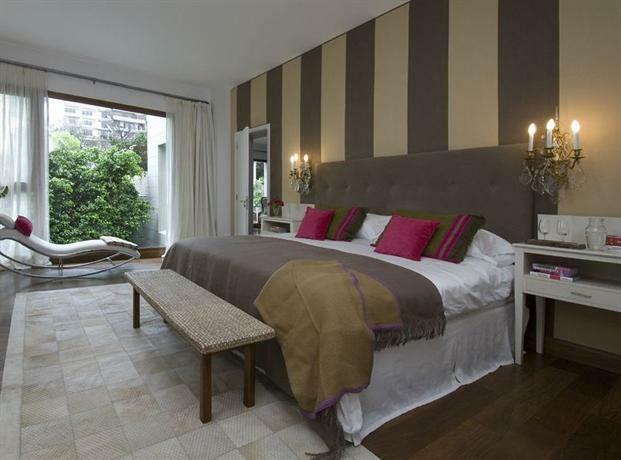 Located very close to Las Canitas and very close to the city’s popular attractions, this 5 star hotel provides for a quite a luxurious and comfortable stay in Buenos Aires. This hotel is within a short distance from La Recoleta Cemetery and Hipodromo Argentino de Palermo. There are many other facilities inside the hotel such as a comfortable lounge bar to relax and have a fun time with family and friends. Also, there is a rooftop terrace to have a 360-Degree view of the capital city. The staff at Tailor Made is very friendly and even provide for child-care and child activities for kids of all ages. The suites in this hotel are well-equipped with all the luxurious amenities to ensure a comfortable stay. 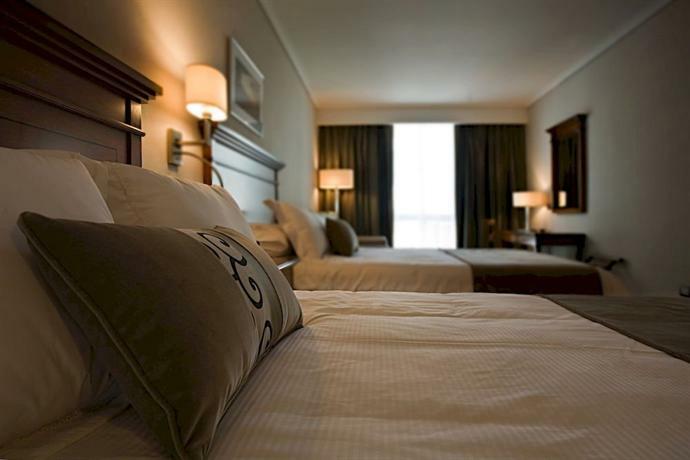 This hotel is an ideal choice for people who want to reside in a smoke-free atmosphere. Eurobuilding features an ultimate health club facility, a bar and a rest lounge to provide its visitors an atmosphere of utter relaxation and fun. The hotel sports free internet at all public areas besides the guest rooms like most other hotels. Complimented by that are the jet spas, sauna, and many other beauty and wellness options.Located very close to Teatro Colon, Plaza de Los Dos Congresos, and Plaza de Mayo, this hotel is at one of the centralized location of Buenos Aires on the Julio Avenue, which means traveling anywhere to these places is a matter of 10-15 minutes. 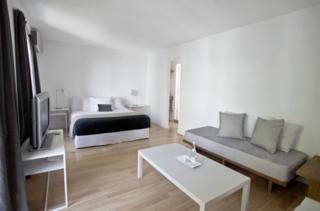 All the suite rooms are completely sound proof fitted with TV and wifi keeping guest entertainment into consideration. As soon as you enter the glass atrium lobby of the hotel, you will immediately realize that this is the place you always wanted to be. Well known for a movie shootings, the grandeur of this hotel cannot be appreciated much. This hotel serves mouth-watering dishes in its restaurants. If you want to try some local dishes, you can go to El Faro or Panadero and many other great restaurants situated in the hotel vicinity. For tasting some of the great wines, you can also try the Mosto Wine Bar. The rooms of this hotel create a perfect ambiance with a perfect view of the surrounding greenery. You can also use the gymnasium and pool facility of the hotel free of cost. 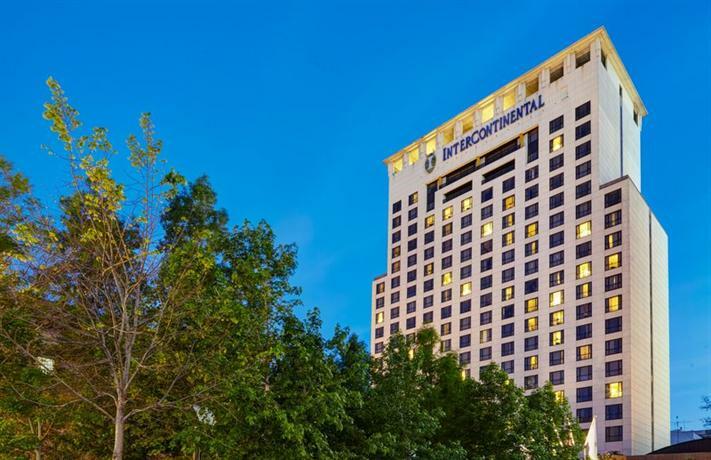 Located in the posh locality of Puerto Madero district, the hotel also has a 72,290 sq. ft. convention center to attract business travelers. Situated at a distance of 10 minutes from Chacarita Cemetery, this hotel is hugely popular among couple travelers. For air travelers, Jorge Newbery Airport is located at a distance of 3.7 kilometers, also Ministro Carranza, the local train station is located 1 kilometer away. A plush atmosphere with well-maintained amenities provides a perfect resort for relaxing and relishing the beauty of Argentina. The gym facility at this hotel makes sure you do not cheat with your fitness regimes while on your vacation. Among the other services are the dry cleaning, gym, the internet, car rental, spa, and 24 hours concierge facility etc., all of this accentuated with a very cordial hotel staff! 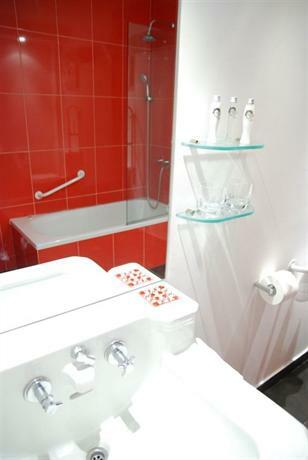 Hotel Vitrum is an excellent boutique hotel. Nestled in the heart of the Palermo Street, Rendez Vous Hotel Buenos Aires offers you not only a place to stay but moments to rejoice in utmost serenity and luxury. All the guestrooms have a mini-bar along with free internet, TV with all the basic facilities such as ironing, hair-drying etc. There are only 11 rooms in the hotel premises. You also get a currency exchange facility at this hotel. Other than that, there is a massage and Solarium available at this hotel. Shuttle services are also provided by the hotel with an additional nominal cost. The best part about this hotel is that you will be greeted with a multilingual staff, so you do not have to worry if you do know Spanish. Additionally, there are staff guides to help you figure out the tourist points around the area and different ways to commute around. Melia Buenos Aires Hotel is known for a number of wellness services such as spa, massages, sauna, beauty treatments along with a power-packed gym which is fully equipped with latest machines and free weights. Machado Café, La Terraza, Azorín Restaurant, and the Góngora Lobby Bar are the three dining restaurants inside the hotel. You can find both home-made varieties of food as well as international cuisines prepared by some of the most qualified chefs of the region. Another major plus of this hotel is that it is centrally located with major shopping points, food joints, night clubs, and theaters at a short distance away. The rooms are also very comfortable with amazing views of the city from the windows of the rooms. 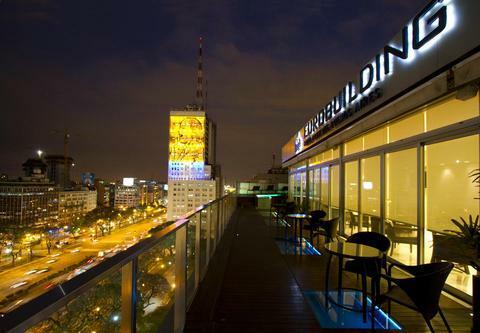 Also, this hotel is situated close to Florida, Puerto Madero, Obelisk, Le Recoleta and Plaza San Martín. 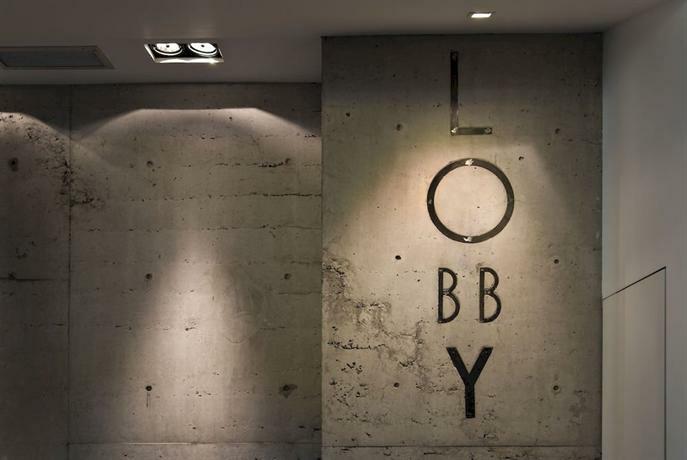 The mere look of this hotel will send giggles down your spine. A fantastic architecture done with just the perfect mix of history and modernism, makes Vain Boutique Hotel stand out of the hotels in Buenos Aires. The owners of this hotel have tried their best to give their guests a feel of the 20th century Argentina. There are beautiful views from the balcony of the hotel rooms. Options like breakfast on the terrace, whirlpool tubs, and modern facilities like Jacuzzi on a sundeck, all enhance the appeal of this hotel. 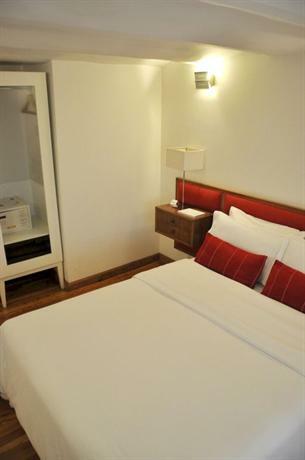 Located on Palermo Viejo Street, this hotel is very close to Buenos Aires Zoo. 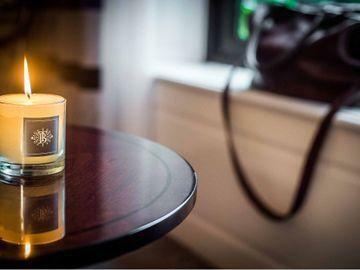 Every corner of PuroBaires Hotel Boutique speaks of elegance and charm. 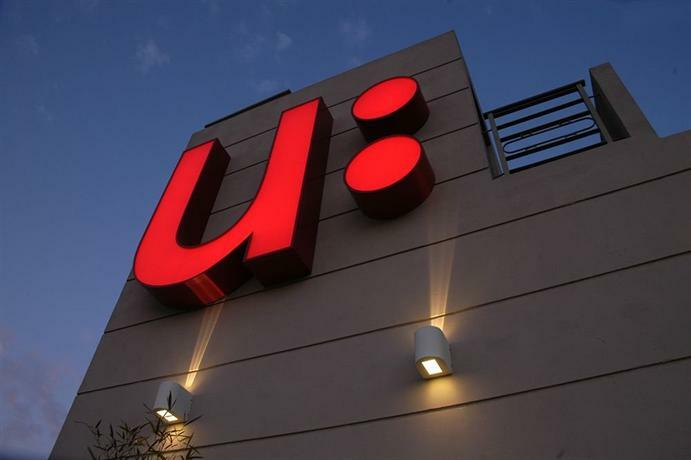 This 5-Star hotel serves its guests with utmost hospitality and concern. The balcony dining, the beautiful chandeliers and the entire vibe of the hotel attract visitors to this hotel from various parts of the world. The hotel has a lot of options for travelers to visit around. These include many famous designer boutiques, restaurants, art galleries, tango center La Viruta, and a variety of pubs and clubs. The rooms of this hotel are fully-furnished and hold beautiful views of the outside street and the Zen backyard. 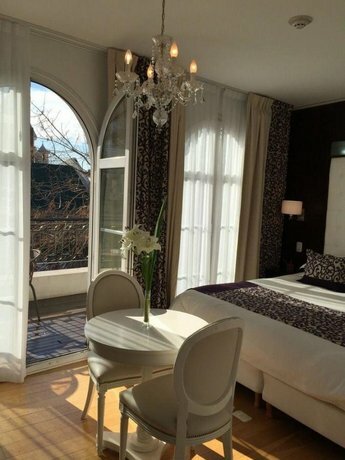 This chic hotel is a wonderful option of stay in the Recoleta. Characterized by ultra-modern amenities provided with a personalized touch, Howard Johnson Hotel has a perfect location for visitors wanting to have a quiet stay away from the street noises. The hotel provides a very good quality stay at a worthy price. The hotel also provides for an amazing spa, sauna, massage, and other relaxing wellness treatments. There are also shuttle services available for sight-seeing around the city. For frequent travelers, Jorge Newbery Domestic Airport is just 6 kilometers away from the hotel. The hotel has many food options available around the area for visitors to try difference street delicacies. Apart from these, there are museums and shopping centers around to keep the guests busy and explore the city.